This magnificent, limited edition Rushmore logo watch commemorates the 75th Anniversary of the Sturgis Motorcycle Rally. 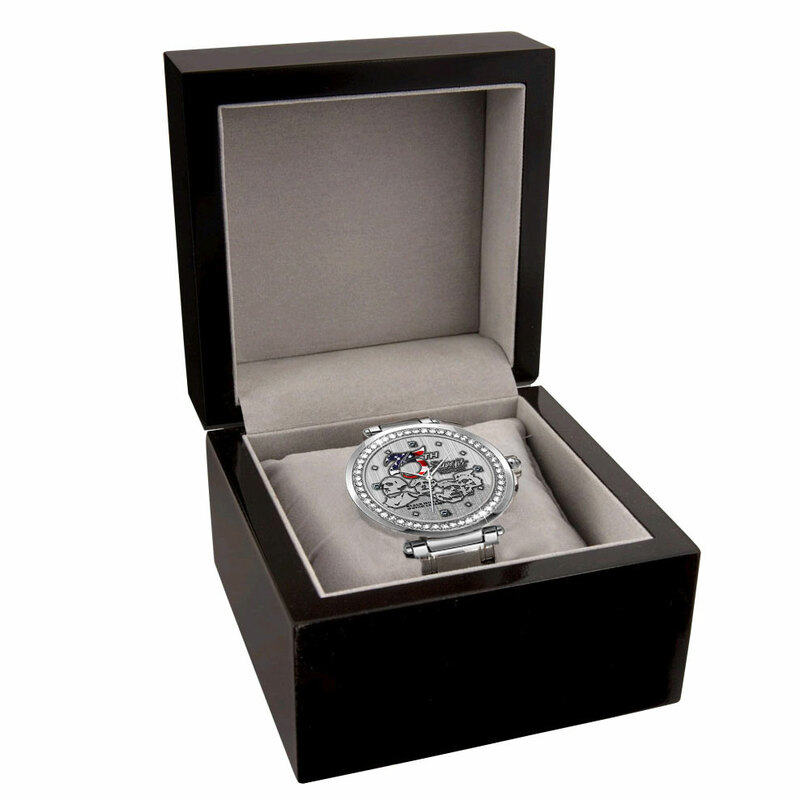 The case and bracelet are crafted in stainless steel and houses a precision Swiss movement. 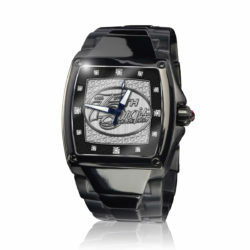 The specially designed bezel is set with 52 stunning Swarovski crystals. 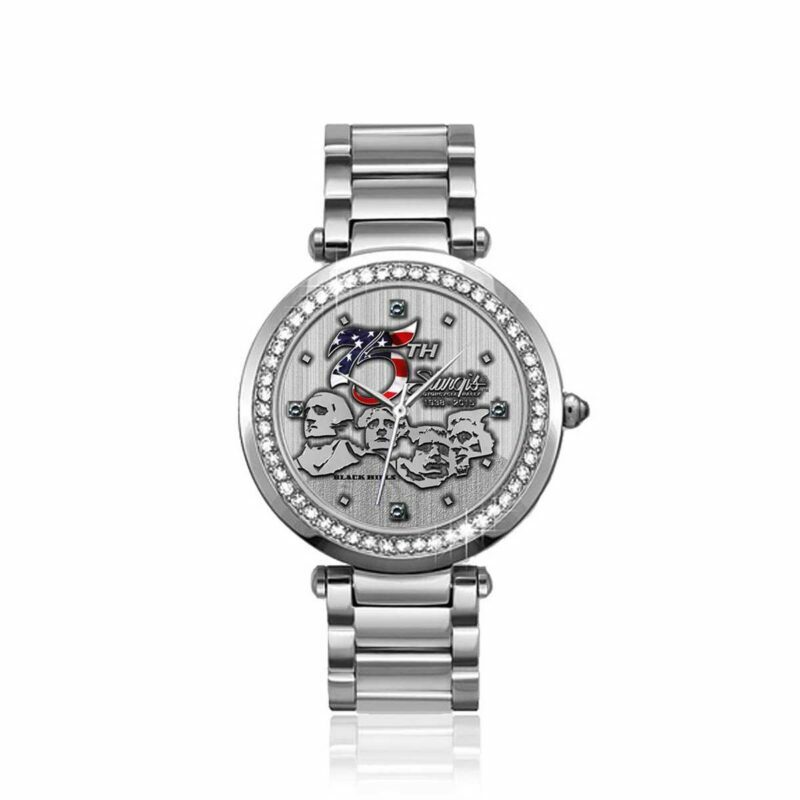 Its unique dial is specially designed using our state of the art 3D medallion process, and is complemented with beautiful colors of the American Flag. 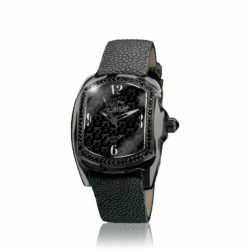 Its hand-finished antique dial is set with brilliant white diamonds at the hour markings. 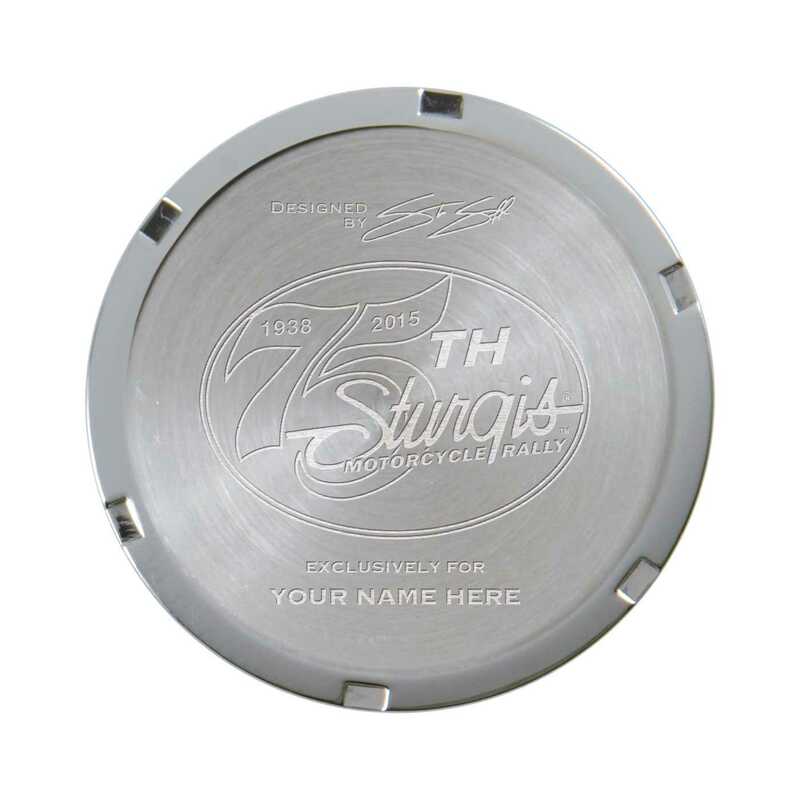 This limited edition piece truly conveys the historical legacy of the Sturgis diamond anniversary.